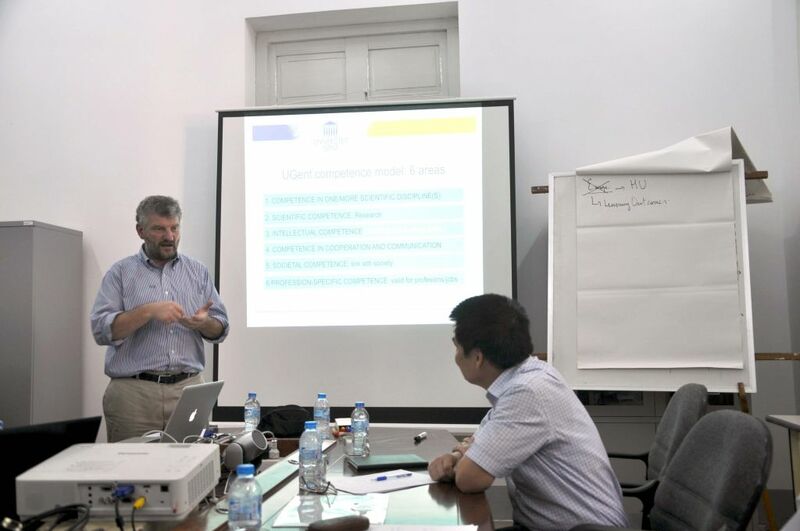 In the framework of the VLIR-IUC programme, the Workshop on the induction of a quality handbook for Hue University hosted by Hue University opened on July 23, 2014. Prof. Martin Valcke, Ghent University, Belgium presented at the workshop with the attendance of Assoc. Prof. Nguyen Van Toan, President of Hue University; Assoc. Prof. Le Van Anh, Vice President of Hue University along with Hue University’s leaders and officers being responsible for education quality assurance.